New cameras added to their list of over 300 supported cameras were the Sony RX1R, Sony RX100 II, Fujifilm X-M1, and the Olympus E-P5. 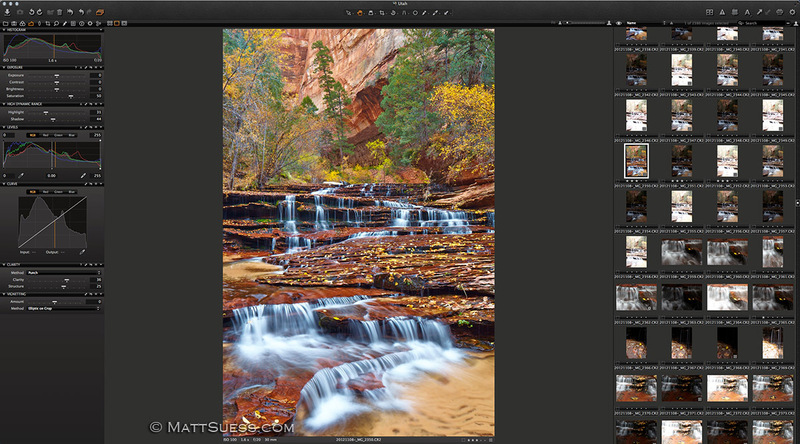 This photograph from Zion National Park photographed last fall will soon be released and available for purchase. Phase one also made the spot removal tool in Capture One Pro available in the less expensive Capture One Express – great news for photographers who may not need the full Pro version. And lastly Capture One Pro now offers a beta version of their importer for catalogs from other image editors on the Windows platform (previously only available on the Mac platform) making it easier to transition over. Learn more about Capture One and give the free 60 day trial a spin here.